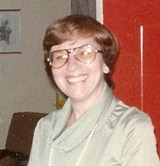 Mrs. Marylou Cummins is one of St. Patrick's School's most beloved teachers. Her career at St. Patrick's started as a substitute teacher in 1962. 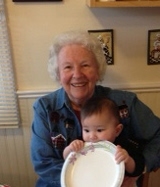 She taught second grade full time from 1963 until 1996. She wasn't finished yet, as she was as a substitute teacher for another six years. That is forty years in all! We were fortunate to catch up with Mrs. Cummins’ daughter Kathy Cummins Sager who shared some thoughts on her mother’s career with us. If the walls of St. Patrick’s could talk, there would be many stories about Mrs. Marylou Cummins. My brother Kevin (73’) and I (70’) were privileged to share in many of her remarkable experiences during her 40-year career. One of the most extraordinary stories we remember was the situation she embraced one year when two of her second grade students, whose mothers were deceased, prepared for Mother’s Day. Mrs. Cummins purchased a balloon, one half pink, one half blue. She asked both children if they would like to make and send their Mother’s Day cards to their mothers up in Heaven attached to the balloon. The entire class was in attendance and cheered as the balloon was sent skyward and disappeared into the clouds. Several days later, the class ran into the building filled with excitement. Miraculously, the balloon had descended onto the playground during recess; the cards were gone. The children were sure their mothers had received the cards and sent the balloon back to them. Mrs. Cummins hung the balloon up in the classroom for the rest of the year. In June both children wanted to take the balloon home. Now what? After some deliberation, the children cut the balloon and each took half home. Mrs. Cummins celebrated her 80th birthday in September, 2012. She enjoys retirement and still resides in Huntington with her high school sweetheart and husband of 57 years, Larry. 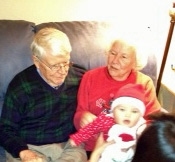 They have 3 grandchildren and were blessed with a great granddaughter in July. She is hoping to attend the reunion and looks forward to seeing her students again. Mrs. Cummins also provided us with her class photos, including a student guide on the back of each one. Go ahead and find yourself and your classmates HERE.